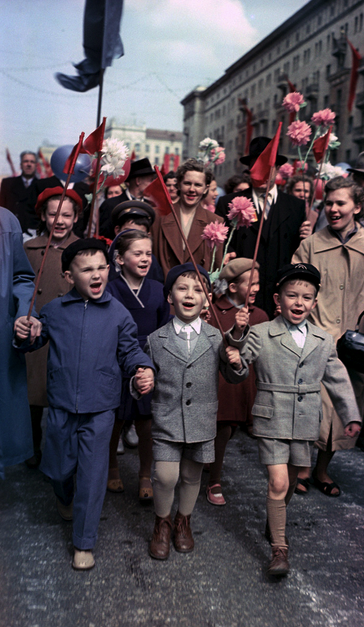 “RIAN archive 697507 May 1st demonstration in Moscow” by RIA Novosti archive, image #697507 / N. Maksimov / CC-BY-SA 3.0. Licensed under CC BY-SA 3.0 via Wikimedia Commons. “Observance of International Workers’ Day”，作者File:BlankMap-World6,_compact.svg: Canuckguy et al.